One thing that separates entrepreneurs from others is their bullheadedness. 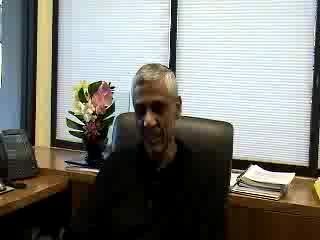 That's the words used by Vinod Khosla. And that's what we hear from entrepreneurs who've made it big. 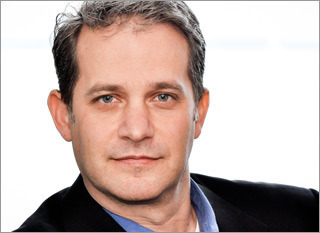 Listen to Big Fish Games CEO and Founder Paul Thelen, and you'll understand bullheadedness. "A big part of running a company is making decisions with imperfect data," said Thelen, on stage at Vator Splash LA. "Data can help you make informed decisions but, "at the end of the day, if you require perfect data to make decisions, your company is going to be paralyzed." It takes a bullheaded, determined person to keep going even in the face of imperfect data and adversity. Check out the lessons learned. They're a good way to pick yourself up and fight another day. Founded in 2002, Big Fish is the leading online marketplace for premium casual games. Through its proprietary, data driven platform, millions of consumers seeking immersive, relaxing entertainment easily discover and purchase premium casual games created by Big Fish’s network of more than 500 development partners and in-house by Big Fish Games Studios. Renowned for offering A New Game Every Day!® on www.bigfishgames.com, the company offers thousands of games on multiple platforms -- PC, Mac, mobile phone, and tablet. Big Fish’s websites, games, and customer service are available in ten languages – Danish, Dutch, English, German, French, Italian, Japanese, Brazilian Portuguese, Spanish and Swedish – and its games are sold in more than 150 countries. The company is headquartered in Seattle, WA, with regional offices in Oakland, CA; Vancouver, Canada; Cork, Ireland; and Luxembourg.